Ricardo G. (Dickie) Padilla, was called to Heaven on July 27, 2018. His journey began from his home in Silver City where he was surrounded by his loving family. He was a loving husband, father and grandfather. Dickie was born on June 4, 1933 in Placitas, New Mexico to Antonio and Maria Padilla. He and his wife Isidra (Chila) were married for 59 years and had seven children. Visitation will be held from 5 to 6 pm on Tuesday, July 31, 2018 with the Recitation of the Holy Rosary led by Deacon Art Gutierrez to follow at 6:00 p.m. at Baca’s Funeral Home in Silver City. The Funeral Mass will be on Wednesday, August 1, 2018 at 9:30 a.m. at Infant Jesus Shrine in Hurley, with burial to follow at Fort Bayard National Cemetery in Fort Bayard. Officiating will be Father Bartholomew Ezenwelem. Serving as pallbearers will be Danny Ray Teran, Anthony Padilla, Timothy Padilla, Justin Trewern, Richard Padilla, and Carlos Teran. Honorary Pallbearers are Erico Padilla, Noah Trewern and Santana Teran. Dickie was a Korean War Veteran, dedicated worker, community activist, builder, wood worker, athlete, teacher, and coach. However, he was first and foremost a family man. He began working for Kennecott Copper Corporation at age 18 and continued to do so until he was 54. After retiring from the mine, he and Chila worked for Southwestern New Mexico Services to Handicapped Children & Adults teaching wood working to adults with special needs. He then became a bus driver for Silver Consolidated Schools. Dickie worked tirelessly to improve his community and make it a better place to live. Throughout his lifetime he served God as a devote Catholic. 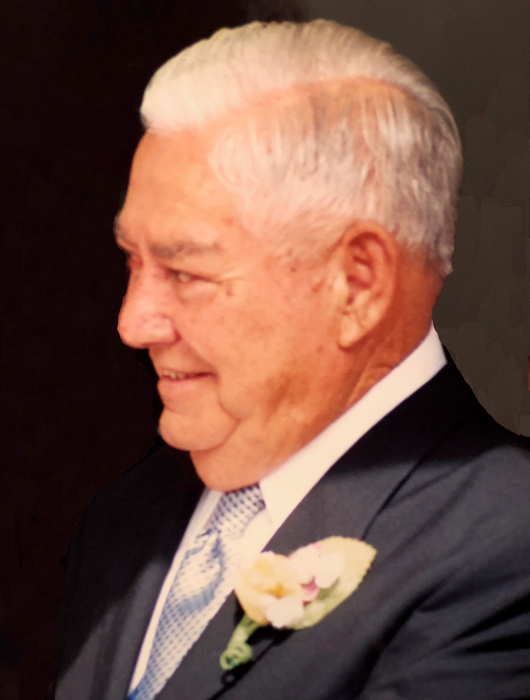 He supported and volunteered at both Infant Jesus Catholic Church and St. Francis Newman Center, where he worked fiestas, was a collection counter, Bingo Caller, and helped his wife Chila with the funeral ministry. He was instrumental in the creation of the North Hurley Water Association providing potable water to the people of North Hurley. He served his community as a Board Member of Chino Federal Credit Union, and as a member of both LULAC and USWA Local 890. What he loved the most was spending time with his family. He enjoyed family gatherings during the holidays and special occasions like Fourth of July barbecues, Christmas and Thanksgiving celebrations, and you can’t forget his Matanzas. He loved to follow his childrens’ and grandchildrens’ school and sports activities, and was their number one fan.He loved his camping trips with his family and friends to the Forks and throughout the Gila. He and Chila loved to go dancing and listen to music at the traditional places in the area, like the Penjamo. He had a passion for baseball, whether it be playing, coaching, or watching baseball games live or on TV (especially his Dodgers). He loved playing shortstop in the various leagues around the community, and was also the first Hurley Coach to take a little league team to the State Tournament. He is survived by his children, Emilia Pavia and husband Raymond Jr., Ricardo Padilla, Jr. and partner Lupe Avila, Vangie Montoya and Mike, Stevan Padilla and wife Brenda, Sara Montoya and partner Richard Quintana, Rachael Gallosa, and Lisa Trewern. Grandchildren, Monica Montoya, Danny Ray Teran, Timothy Padilla, Amy Chacon, Niki Rodriguez and husband Mike, Andrea Silva and husband Joe, Anthony Padilla, Carlos Teran, Erico Padilla, Angelita Padilla-Richard and husband John, Alyssa Padilla , Richard Padilla, Liselle Rios, Justin Trewern, Moriya Gallosa, Haley Trewern, Noah Trewern, 17 great-grandchildren, 2 great-great grandchildren, brother in-law Reynaldo Sedillos and his wife Nora, and several nieces and nephews. 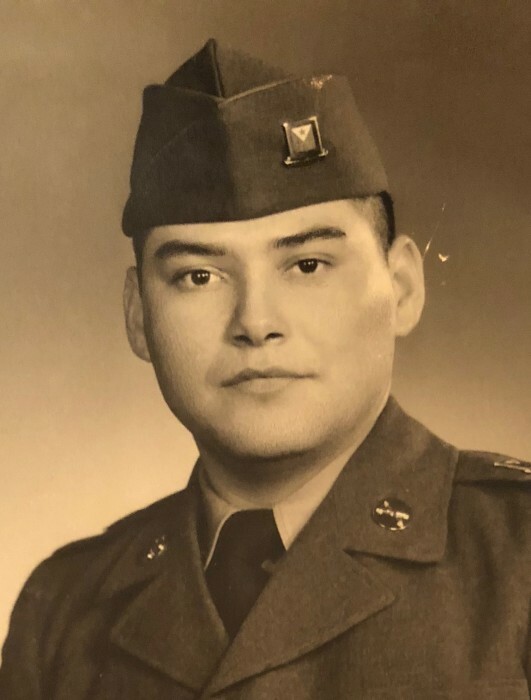 He was preceded in death by his wife Isidra (Chila), grandson Eddie Montoya, son-in-law John Trewern , parents Antonio and Maria Padilla, brother Johnny Padilla, and sisters Cecilia Sedillos and Kela Padilla. Special thanks to our caregivers, especially his Amigo Sal, Amber Care Hospice Nurses Melissa and Michelle, Deacon Art Gutierrez and the Veteran’s Administration.